One of Australia’s most senior climate scientists has called on his colleagues not to sit on the sidelines of the political debate about global warming and other environmental issues, given the evidence they present asks society to consider fundamental changes. In a speech to be given to the Australian Academy of Science on Tuesday evening, Dr Michael Raupach will say environment scientists' position in the public debate had changed because they were now presenting evidence requiring society to make major choices in response. Dr Raupach, who heads the ANU Climate Change Institute, told Fairfax Media ahead of the speech ''Exhibit A''’ was human-induced climate change. His speech follows the publication of an opinion piece in The Australian by the Abbott government’s chief business adviser, Maurice Newman, in which he claimed the world was in a cooling phase, rather than warming predominantly as a result of human activity, which the vast majority of scientific evidence has found. Dr Raupach said Mr Newman’s claims fly in the face of every analysis he had seen and the article had been widely discredited after its publication. He said credible scientists were doing their level best to enter the debate and present evidence in a clear way that could be understood by the general public. Dr Raupach added nobody owned the public discourse and there were other forces at work that gave some, like Mr Newman, undue prominence, such as the publication choices of some media outlets and desire by some to select a ''portrait'' of the facts that fit a pre-existing agenda. ''And in this case the agenda that is being selected is that doing something about fossil fuels is not in Australia’s long-term interests because we rely on fossil fuels and therefore any attempt to do something about their emissions needs to be combated if necessary by subverting the objective realities,'' Dr Raupach said. Asked how far scientists should enter the political debate, and whether they should express a view on policy responses, Dr Raupach said their responsibility was to speak the truth as they discern it through scientific method, based on evidence, inference and logic, and not one’s political views and values. 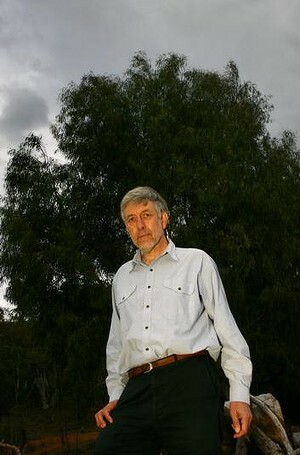 Asked whether a scientist should comment on a potential cutback to Australia’s renewable energy target – it is currently being reviewed by the Abbott government – under that criteria, Dr Raupach said he believed they could because future scenario modelling on what it will take to avoid dangerous climate change consistently found the need for a swift uptake of renewable energy. ''The maintenance of the renewable energy target is a significant part of Australia’s policy toolkit if it is going to have any hope of playing a role that is consistent with our share of the global challenge of avoiding dangerous climate change,'' Dr Raupach said. His comments come as Australia’s chief scientist, Professor Ian Chubb, told ABC radio on Tuesday morning the scientific community had to make sure it had the patience and the persistence to not let issues go when they have evidence that indicates something should be done in a particular way.